(HARLINGEN) – Isaac Carrion was 10-years-old when he first knew he wanted to be a welder, and now the 46-year-old is an alumnus from Texas State Technical College, on the cover of a Victor Technologies welding catalog and has more than 53,000 followers on Instagram. He went through middle and high school hoping to get some welding experience in the classroom, even joining the Future Farmers of America, but it was not until he enrolled at TSTC in 1991 that he got his first taste in welding. Carrion earned his certificate in Welding Technology in 1994. He said it took him a little longer than most because he had to work full-time and take semesters off to save money for tuition and books. He worked with a Rio Grande Valley construction company while in college, traveling across Texas installing gymnasium wood floors. But immediately after graduating from TSTC, he received a job offer from an Austin aircraft company as an airplane frame welder and constructor. So him and his wife, of now 24 years, moved to Austin and have been there since. Carrion now owns a welding shop in Austin, “Welding Repair Services,” and works on heavy equipment mainly on construction sites. It was established in 2000. For the first decade of Carrion’s career, in addition to the aircraft company, he also worked as a welder constructing race cars, at a manufacturing center welding and installing waste water treatment pipes and at a welding shop that also required him to learn about sheet metal fabrication and machining. 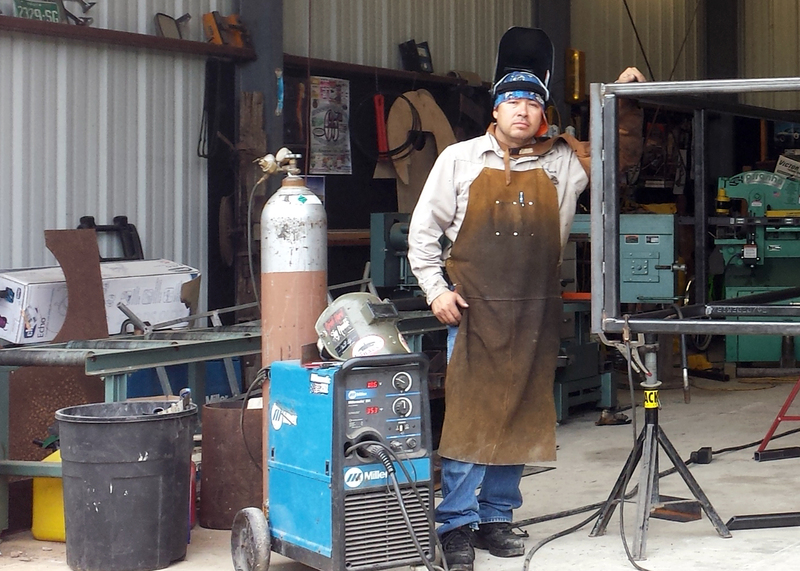 Not only has Carrion found success in the welding industry, but also in social media. He manages his own welding Instagram page called “icweld,” where many of his more than 53,000 followers are young welders from all over the world looking for guidance and a mentor in the industry. It was his Instagram following that caught the eye of Victor Technologies, a welding supply company, and inspired them to put Carrion on the cover of their catalogue, on a calendar and to produce a podcast and video about Carrion’s welding career. Since then other welding supply companies have also reached out to Carrion about being an honorary representative at their booths during FABTECH, North America’s largest metal forming, fabricating and welding conference, which Carrion attends annually. From time to time Carrion also hosts meet and greets during FABTECH so he can meet his Instagram followers and can have the opportunity to encourage and mentor young welders. He has even visited TSTC in Harlingen and in Hutto to speak with Welding Technology students and is always surprised when they recognize him from social media. Carrion said he hopes to begin hiring help at his shop, and when the time comes the first place he will recruit from is TSTC. For more information on Welding Technology, offered at all 10 TSTC campuses across the state, visit tstc.edu.